Do you have a food schedule that you stick to every week? Like Mexican Mondays, Italian Tuesdays, Asian Wednesdays, Pizza Fridays? I obviously don't know what I'm talking about or the right way to schedule a menu like that because there is no way I would ever be able to stick a schedule like that. Food menu for the week? Ha! Cleaning schedule? Puhlease. So not happening here. I cook off of my cravings which means that I go to the store every other day. Totally inefficient, I know. But I have tried the weekly menu thing and it just doesn't work for me. I have problems. I can only eat what I crave. I don't consider myself high maintenance overall, but I am definitely high maintenance when it comes to food. Sorry honey! The only thing I can stick to is "Taco Tuesdays". My little boy is just too freakin' cute when he begs for tacos because Taco Tuesday is a big thing in the Lego movie. He totally knows how to work me over with that adorable smile so I give in. We have tacos every single Tuesday thanks to President Business. Luckily, the whole family loves tacos. Sometimes though, Tuesday rolls around and it feels like we just ate tacos yesterday. That's when I get creative and come up with things like Taco Cheeseburgers. They have all the wonderful flavors and toppings of tacos, but with a completely new twist. I had no idea how these would turn out, but they were a huge hit! Taco seasoning and salsa are mixed into the burgers before grilling. Then the burgers are topped with cheese and all of your favorite fixings. I made a huge burger with sour cream, guacamole, shredded lettuce, and tomato. Super yummy! 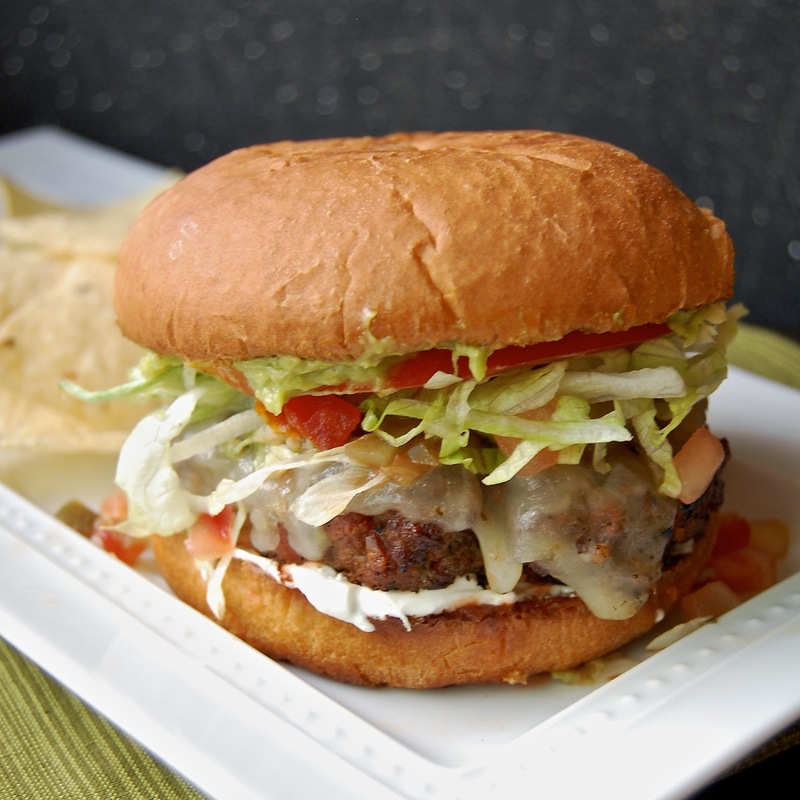 So the next time you are debating whether to make tacos or cheeseburgers for dinner - make both!! In a medium bowl, mix the taco seasoning and salsa together. Add the ground beef and mix until well blended. Form into 5 patties. Preheat the grill. Cook over high heat until desired doneness, flipping once. Melt the cheese over the top. Serve on a lightly toasted bun with desired toppings.